While many renewable energy sources have drawn attention locally, solar remains the hottest option in Crook County, an area known for its "300 days of sunshine." The county already boasts the largest plant in the state, and five other solar projects have received land use approval locally. Most of the approved sites are southwest of town along Millican Road. Another project might join that list in the future as the Crook County Planning Commission is holding a hearing March 27 for a new application. The proposed West Prineville Solar Farm would occupy 320 acres. About two years ago, SunPower Corp., which is headquartered in California's Silicon Valley, announced construction of the Gala Solar Power Plant. By late October, the 56-megawatt facility was completed and operational. Located on Millican Road about seven miles south of the Prineville Airport, it was estimated that 300 jobs would be created during peak construction of the solar facility. According to Art Sasse, director of communications and brand for Avangrid Renewables, which owns and operates the new facility, the Gala plant sets on a 400-acre parcel, about 325 acres of which is covered by nearly 160,000 solar panels. The plant generates 56 megawatts, enough electricity to power approximately 14,000 homes, Sasse said. 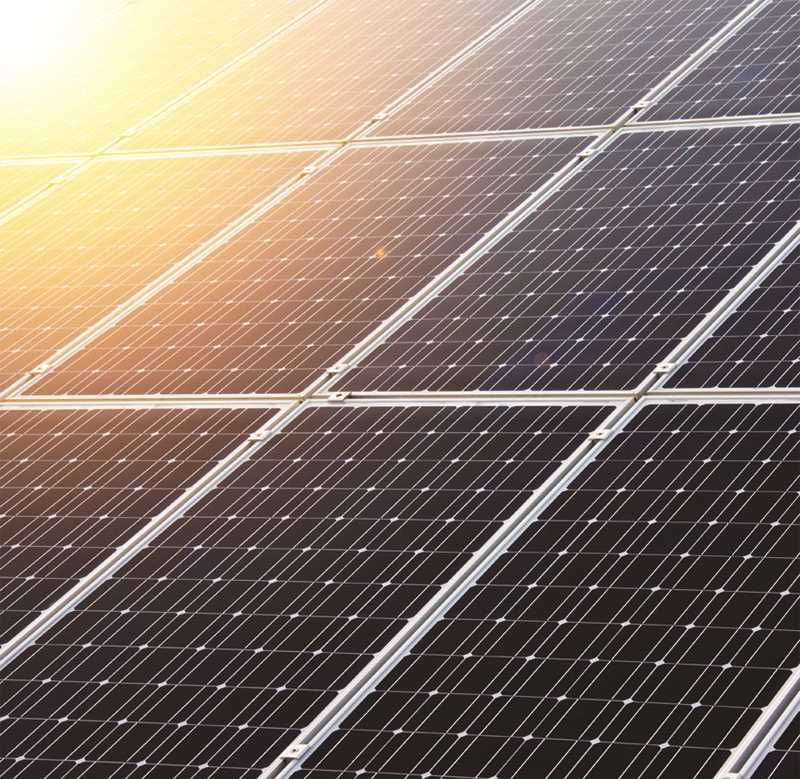 The process of receiving land use approval for local solar power projects is rigorous, according to County Planning Director Ann Beier, and can therefore take some time to obtain. "The Crook County Planning Commission and County Court adopted some fairly stringent criteria to site commercial renewable energy in the county," she said. "There is specific code language that applies for both wind and solar, and that is on top of what any other conditional use would have to do." Beier said that county officials try to avoid siting power plants on "good farm ground" and they look at any impacts to adjacent residences. Fortunately for developers, those impacts are typically minimal. "Unlike a lot of development, the impacts are mostly during construction," Beier noted. "Once the facilities are in and operating, they really are quiet neighbors and don't have much impact." She added that the panels are designed not to glare. The planning commission looks at impacts to wildlife or natural resources as it considers a project, and because solar farms disturb a large piece of ground, requirements include surveys for cultural and historic resources and artifacts. "All of the ones we have permitted have gone through that process," Beier said. Land use approval is one hurdle, but not the only one, that solar project developers face. They need to obtain a power purchase agreement before they can move forward on plant construction. One local project, Invenergy, recently received one, Beier said, noting that the plant will be located on 300 acres south of the Apple data center. Construction is intended to start in the fall of 2019. The power purchase agreement was reached as part of a solar power generation partnership announced this past summer, Beier said. In July, Pacific Power and Facebook joined city and county leaders to announce a partnership designed to spur 437 megawatts of new solar developments, including two projects totaling 100 megawatts in the Prineville area. "We are excited to announce that Facebook's Prineville data center will be supported by 100 percent renewable energy," Peter Freed, energy strategy manager for Facebook said during a press conference. "In partnership with Pacific Power, Facebook is enabling the development of new solar projects on the electric grid serving our data center. Two of those solar projects are located right here in Crook County, and we estimated this projects will increase the amount of solar power in Oregon by more than 20 percent." Explaining the partnership, Pacific Power's senior vice-president Scott Bolton said Facebook has paid for a premium of the renewable attributes for two local solar projects and six total. Though no other projects with land use approval are scheduled to move forward on construction, the interest in solar development has not waned locally. Beier said that people still call to see what options Crook County offers, and because such developments are eligible for tax credits, she expects interest to continue. The federal Investment Tax Credit provides a 30 percent credit for qualified expenditures on projects that begin construction in 2019. That credit drops to 26 percent for projects that begin building in 2020, then 22 percent for power plants that break ground in 2021, and finally 10 percent for projects that begin construction in 2022 or later. "Companies are interested in taking advantage of those," Beier said.